Mechanical Music is my hobby and for as long as I continue to do this internet station, it will cost me over £2000 a year. I want to provide you a professional & unique radio station but the equipment, licences and technology do add up. If you listen and enjoy MMR, a donation would be very much welcomed. We are crowdfunding to keep this going. For people who show interest in Mechanical Music, why not recommend this Radio Station and website as a introduction into the hobby. Download and print out poster for display, and leaflets to give out. The poster is high resolution so can be printed as large as you like, and for economy, you can print two leaflets onto a sheet of A4. For our friends from Holland, please find printable leaflets in Dutch, as below. The Mechanical Music Radio mugs and stickers are here! 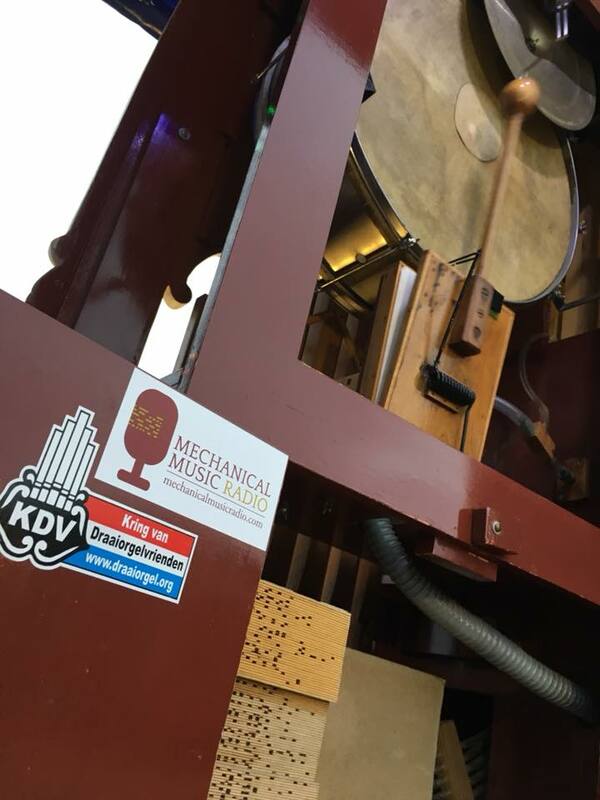 ​Mechanical Music Radio has thousands of songs in its music library, and this is thanks to the generosity of industry professionals who have donated their lifes work for broadcast. Ever thought of having your mechanical instrument recorded but always thought it was far too expensive? Royalmusic Recording services offer you a full service at a price you CAN afford. With over 40 years in the recording industry, they can offer everything from an industry standard single master disc, right through to the complete professional package, in your hands, ready to sell. They also now offer digital streaming, audio restoration or if you want to go old skool, have your Organ recording cut on a vinyl record. John has been responsible for some of the most iconic Mechanical Music recordings. From 'Museum Speelklok' in Utrecht to the UK based 'Flower of May Holiday Park', John has immortalised some of the most historic collections both here and abroad. John is based in Holland, but visits the UK all of the time, so wherever you are based, he can come and record your instrument. The whole process is handled by John from start to finish, with professional design and glass printing of CD's for longevity. John has recorded hundreds of instruments back through the 80's and 90's under the name of Causeway Recordings, and since we launched Mechanical Music Radio, John got in touch and offered us his archive. He is slowly digitising his back catalogue and sending us some new offerings every month. Just about all of these were only ever released on cassette so to have these in digital quality from the masters is truly exciting, and we feature much of his work on the Vinyl Years feature, heard weeknights from 7 til 8. We would also like to thank the following enthusiasts for donating their own, unreleased private recordings. Nigel Myers, David Ward, Stephen Simpson, Niels Berkers, Sjoerd Caspers, Max Lakeman, Ash Lombaers, Marcel Van Andel, Johnny van Eijk, Ian Rogers. Scott Temple is a great friend of MMR and has voiced pages of scripts to make the 'idents' you hear between organ tracks. Thank you Scott for all your hard work. He is the owner of www.malfunctionradio.com which is a top listen. Matt Bunt is a graphic designer based in Cornwall who has done MMR proud designing our logo. Also thanks to Frias_Samir on Pixbay for the Microphone design which we have adapted with a perforated organ music theme!